I received an ARC of this book from St. Martin’s Press through NetGalley. As a native of the Appalachian mountains, I can be very critical and ultra sensitive to novels that portray the area with stereotypes and ridicule. 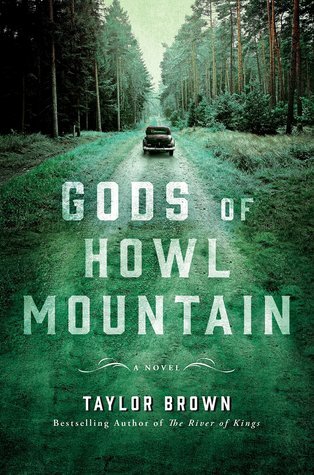 Taylor Brown's Gods of Howl Mountain is a powerful portrayal of the beauty of the mountains and the dignity of the people that live often harsh and hardscrabble lives separated from the people "down below" by their poverty and isolation. The writing is absolutely lyrical, with elegant descriptions and powerfully emotional scenes that flow with the plot. The characters were well drawn and sympathetic despite the often wrenching and difficult choices they make. There was nary a stereotype and certainly no ridicule and I look forward to finding other titles by this author.